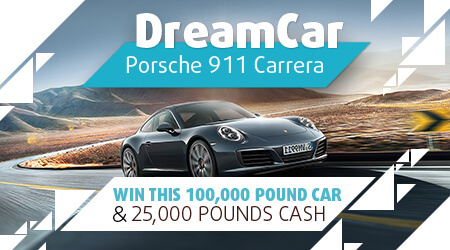 Put your foot down and catch your very own Porsche 911 Carrera worth €100,000! For just €5, you could be the proud owner of your own sports car as well as €25,000 in cash! Terms and conditions apply. Return to player rated at 50.40%.